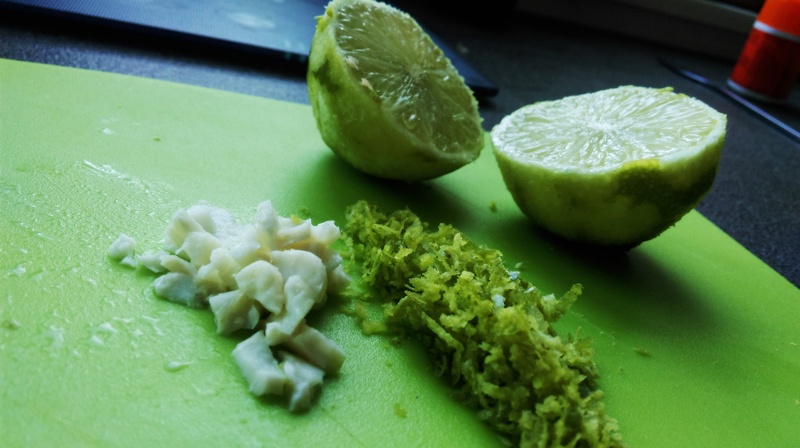 This recipe is certainly very cool – the refreshingly chill tastes of Coconut and lime coming together, balancing creaminess and acidity with that beautiful seafood kick. What could be better? I like to use a fair bit of chilli in this recipe to kick it up a notch, but that is of course entirely optional. 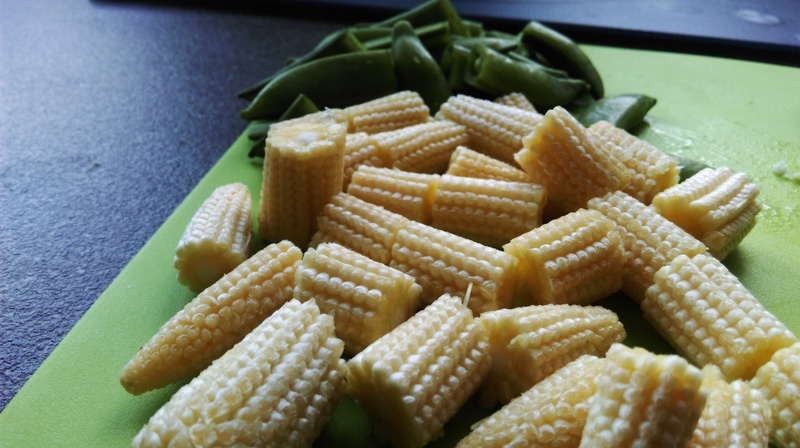 As are the vegetables you use – I went traditional with Sugar Snaps and Sweetcorn (I hate beansprouts), but really play around with this. 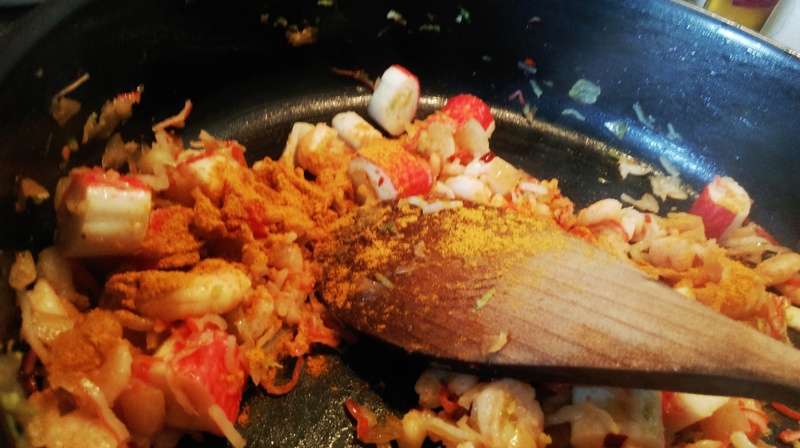 Seafood – crab, prawns, mussels, cockles etc. 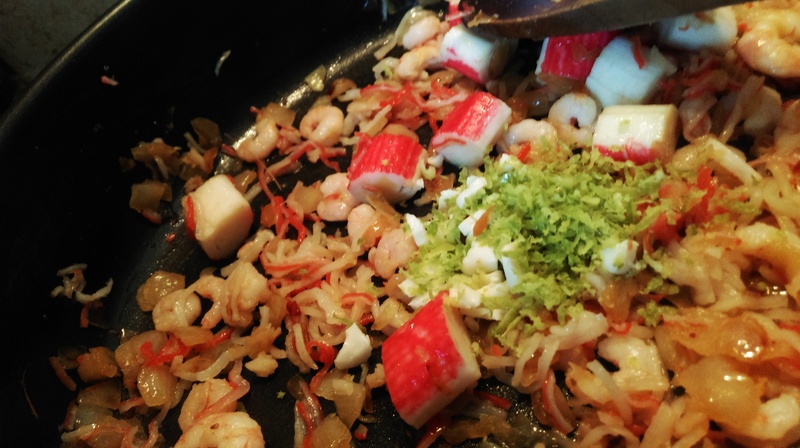 Prepare all the vegetables and seafood first – grate the lime zest, chop the onions, garlic etc. peel anything that needs to be peeled, slice and de-shell the seafood. This will make the cooking experience far less stressful. 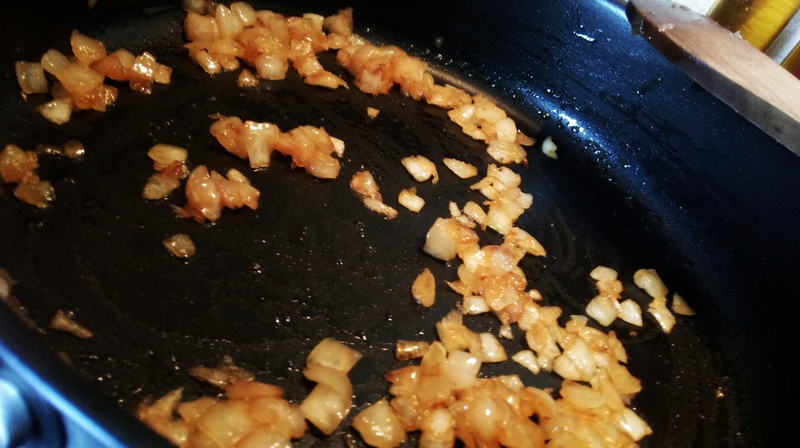 Heat some oil in a large pan and add the onions. I used chilli oil, hence the redness. Fry until brown. 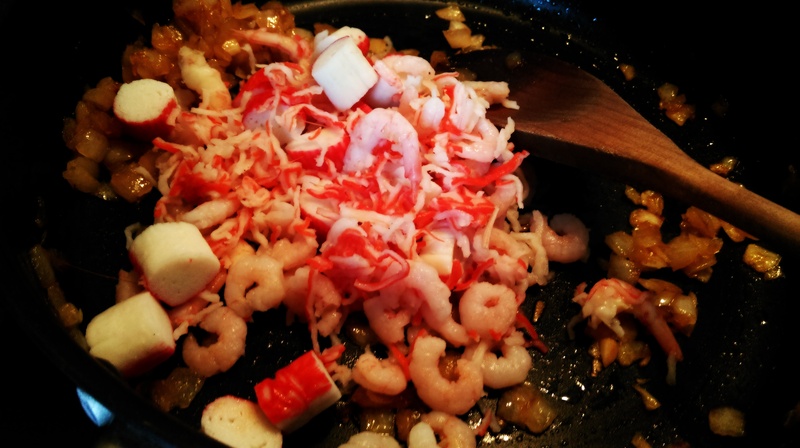 Add the seafood and continue to fry for a minute or two. Add the garlic and lime and mix in thoroughly. Cook for a further few minutes. Add the turmeric and stir to coat everything. 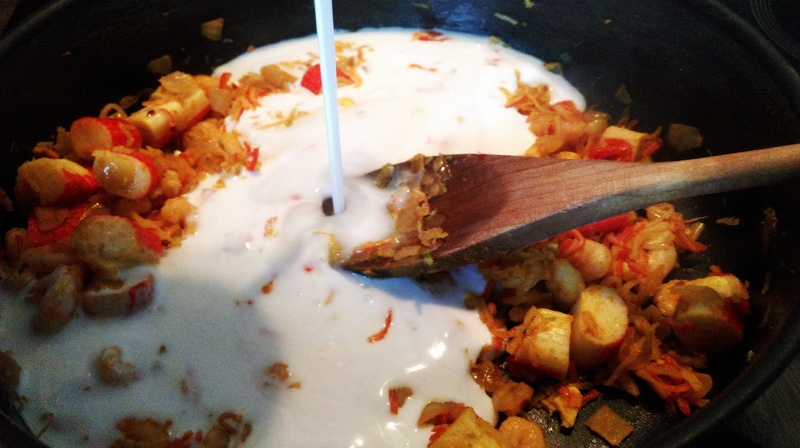 Pour over the coconut milk and squeeze in some lime juice. 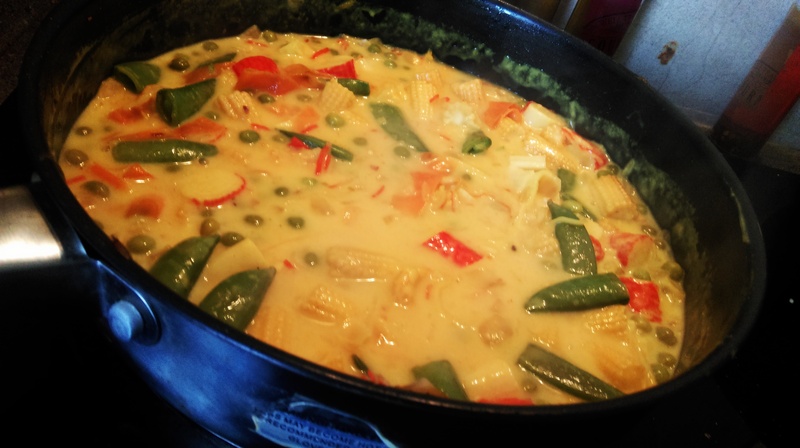 Stir thoroughly and simmer over a low heat. Taste and adjust for seasoning. As the sauce cooks it will reduce. 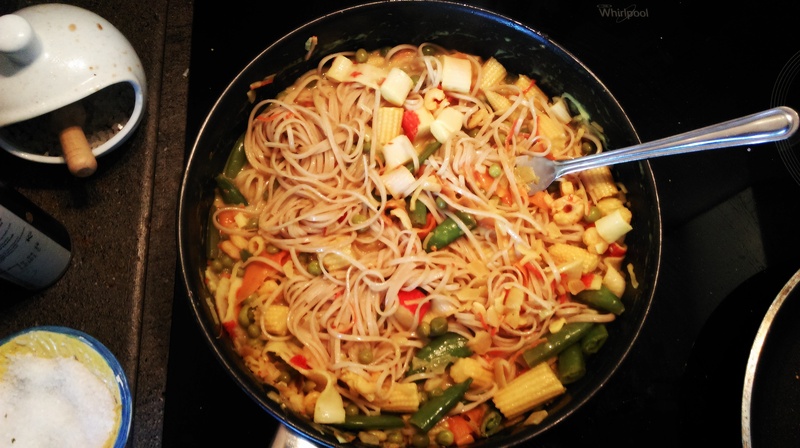 When it seems thick enough for your tastes (mine maybe lost 25% volume) add the noodles and mix very thoroughly so that every bite includes more than just noodles and sauce. 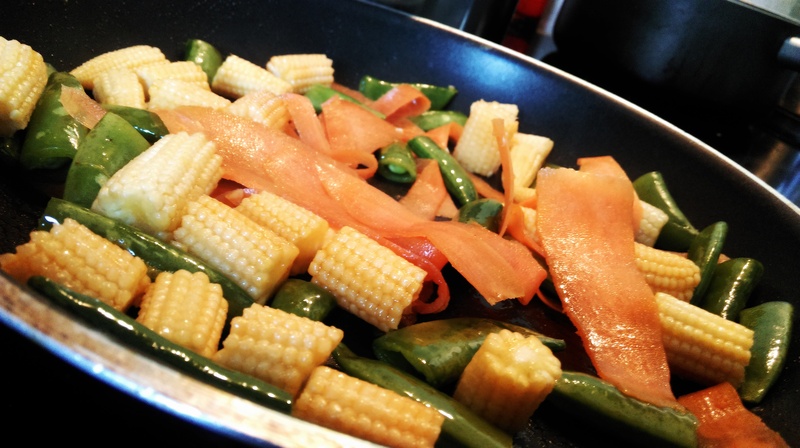 I like to serve this with a little slice of lime to garnish and potentially squeeze over, with a quick grind of pepper over the top and of course, chopsticks to eat. This will keep in a sealed container for a day or two – add a splash of water or milk if it seems dry upon reheating. 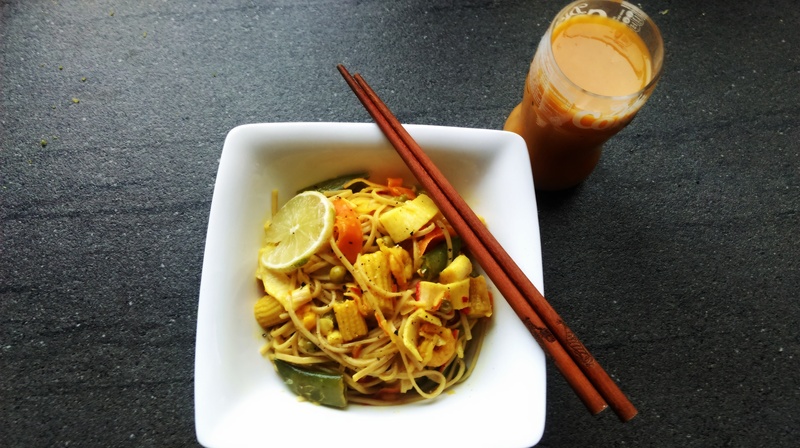 Posted in Fish, Guesscipes, Mains, One Pot, SaucesTagged asian food, chilli, coconut, detox, fish, guesscipe, healthy, lime, noodles, recipe, seafood, spicy, stir fry, vegetables, wheatBookmark the permalink.